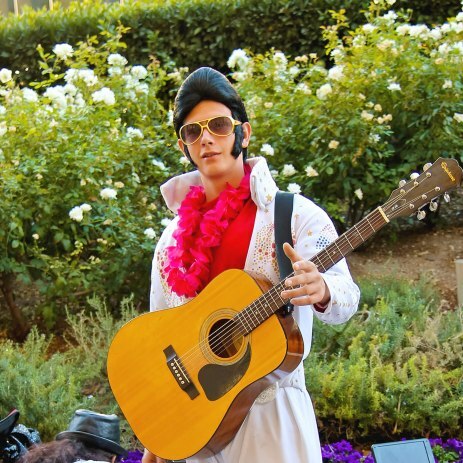 Fill out our simple form and get quotes from local tribute acts. Tribute acts are perfect for the super-fan, or for those who know exactly what will get their guests on the dance floor. A fun way to bring a little stardom to the party, find tribute bands and get quotes online here. 80s Tribute Act - Almost Alison - a tribute to Alison Moyet, Erasure + Yazoo followed by 80s dance music.. Bringing back the era of synth pop, neon legwarmers and romantics with frilly collars! Bristol-based tribute act providing tributes to Lady Gaga, Katy Perry, Taylor Swift and Shania Twain. Performing all around the UK in bars, clubs, holidays and weddings! From Elvis to Abba, The Blues Brothers to Lady Gaga, there’s something for everyone with a tribute act. Some tribute bands are experts in one act and some will offer a few options, perhaps playing hits of the 80s or Motown classics. A tribute act is a fun choice that will be sure to bring a smile to those watching, listening and joining in! Ideal for themed evenings or fancy dress parties, if you think a tribute act is the right choice for your event or wedding, just start by browsing some of the entertainers we have listed here, view photos, more details and reviews from past clients. When you’re ready to find out more, simply request a free quote from the tribute band you’re interested in. Now, go get planning your outfit!